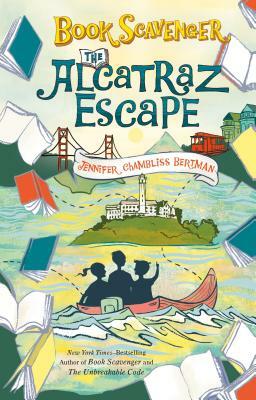 Sleuthing duo Emily and James tackle their most challenging mystery yet set on the haunting Alcatraz Island in Book 3 of the New York Times bestselling Book Scavenger series! Legendary literary game-maker Garrison Griswold is back in action—this time with “Unlock the Rock.” For his latest game, Griswold has partnered with the famous--and famously reclusive--mystery writer Errol Roy to plan an epic escape room challenge on Alcatraz Island. When Emily’s brother is caught red-handed and blamed for all the wrong doings, Emily is certain Matthew is being framed. With Matthew’s record on the line, Emily and James can’t afford to leave this mystery uncracked. Sarah Watts is the illustrator of The Book Scavenger series.